Cherry Chess is based in the Traverse City, Michigan area - the "cherry capital of the world" - and we organize USCF-rated chess tournaments as an affiliate of the US Chess Federation. Join us at the AMVETS Post 120 in Mesick for a special tournament: the FIVE YEAR FREEROLL on Saturday, May 18. 2018 Michigan Open to be held in Cadillac! A rare opportunity! The 2018 Michigan Open will be in Cadillac this year, Aug 31 - Sep 3, at the Evergreen Resort. More details on the MCA tournament listings website. $3,150 total prize fund. Local master Dave Sprenkle will be doing a free simultaneous exhibition, playing all comers, from 5:30 - 9:00pm on Friday, August 11, 2017 in front of Horizon Books as part of Traverse City's Friday Night Live summer activities. Also there will be a giant chess set available for open play. Come join the fun and take your best shot at Dave! Congratulations to our section winners, Dave Sprenkle (Open) and Alex Bemben (Reserve) who each scored a perfect 3-0 in their respective sections at TC Challenge IX held on May 14, 2016. Sprenkle, Bemben Tops; Revnell Shocks! 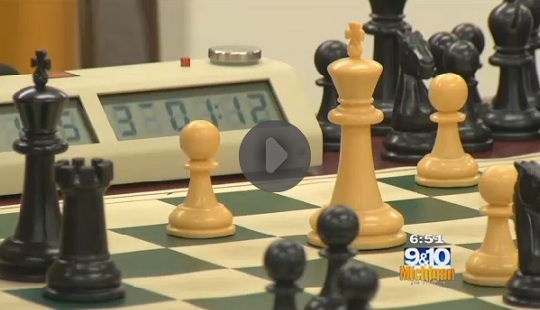 Jazz, art, food... and chess! 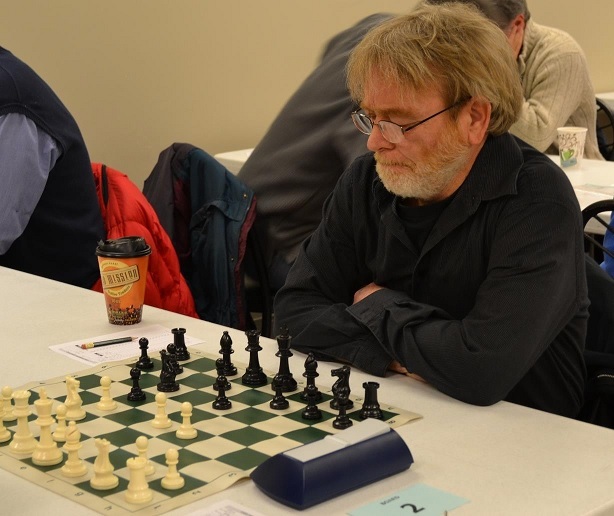 Friday Night Live returns to Traverse City in August, and Traverse City chess master Dave Sprenkle will give a simultaneous exhibition on Friday, August 14, 2015 from 5:30 - 9:00pm in front of Horizon Books. Also we will have a giant chess set available for open play. Come join the fun and take your best shot at Dave! Daniel Sajkowski from Torch Lake won the Open Section, and Gavin Roupe from Mount Pleasant won the Reserve Section at the Traverse City Challenge V held on Saturday, May 16 at the Grand Traverse Mall. Greg Bailey from Mesick and Alex Bemben from Petoskey prevailed as section winners at the Traverse City Challenge #4, held on March 21. FM Dave Sprenkle from Traverse City and Alex Bemben from Petoskey repeated as champions in the Traverse City Challenge #3 held on January 31. Two more tournaments upcoming at the Grand Traverse Mall in early 2015. FM Dave Sprenkle won the Open section at the TC Fall Challenge, held on Saturday, Nov 22 at Grand Traverse Mall. Greg Bailey & Alexander Bemben are Champs at Traverse City Summer Challenge! 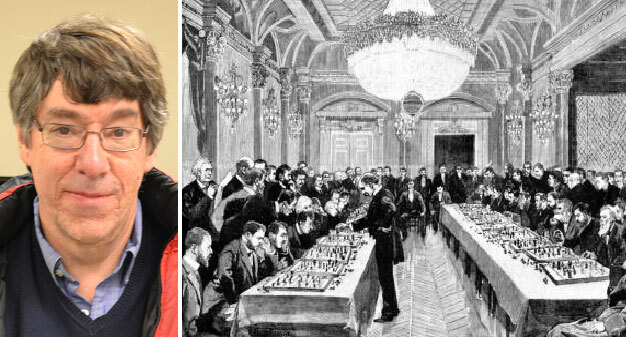 Check out the new link at the top of the page for the Cherry Blog where we will post chess-related articles for your reading pleasure! Thanks for checking us out! We just launched this website and it is under construction. Soon we hope to have the discussion board up and running, along with photos, info about our USCF-rated weekly tournament, and possibly a club directory. 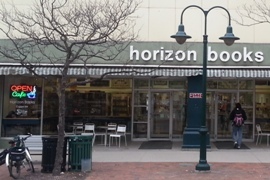 Open to the public, we meet at Horizon Books, 243 E Front St, Traverse City on Wednesdays from 6:30pm until closing in the lower level where the cafe is located. Feel free to drop in anytime, we have players joining and leaving throughout the evening. Casual play, as well as USCF-rated weekly games are available! Copyright © 2018 Mike Williams and Cherry Chess. All rights reserved. CSS design by Free CSS Templates.